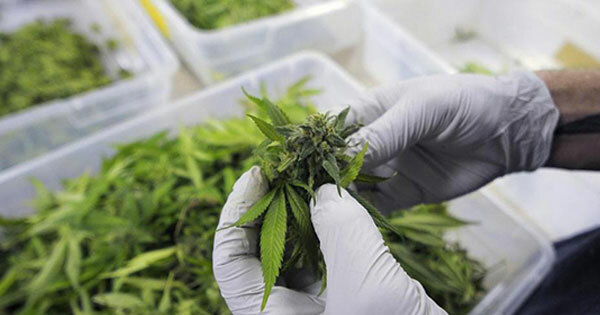 6 Comments on "Monsanto Creates First Genetically Modified Strain of Marijuana"
My dad always said” if it ain’t broke don’t try to fix it.” Nature isn’t broken our laws on this are. Good luck with that. Ask the corn and wheat farmers how it worked out for them. It’s Big Business, you won’t win. They’ll fall, yes, but it will be a while, so find a work around to protect you and yours. What possible benefits will come from GMO Cannabis? There are 1000’s of growers that are working on various new strains of Cannabis without need to engineer the genes beyond naturally. Cannabis has great potential to better our way of life and replace dozens of dangerous pharmaceuticals that now poison us. Legalized Cannabis nationwide is what we need,not licensing a pharmaceutical company to reap profits. The best way to go about this is to simply plant weed wherever and whenever you can and contact your local,state and federal reps to lobby for legalization. Leave our weed alone !!!!!!!! we have been perfecting it for years so it’s just how we like it ! Sure make poison legal Marijuana, No Thanks. Why is it the Monsanto cafeterias don’t serve any of the food they make, they want their employees alive.